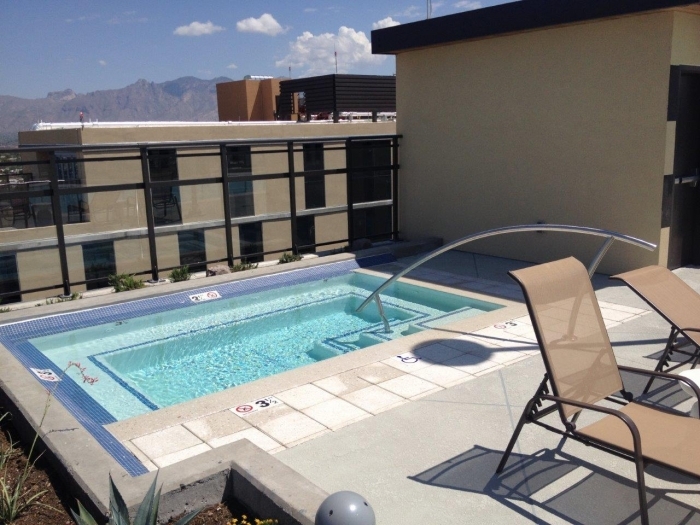 As mentioned in our article about spas and their origins, America rediscovered the benefits of hot tubs and pool spas in the late sixties. Cimarron Circle was not yet around at that time (the company was formed in 1978) but we have definitely caught the wave in the eighties. 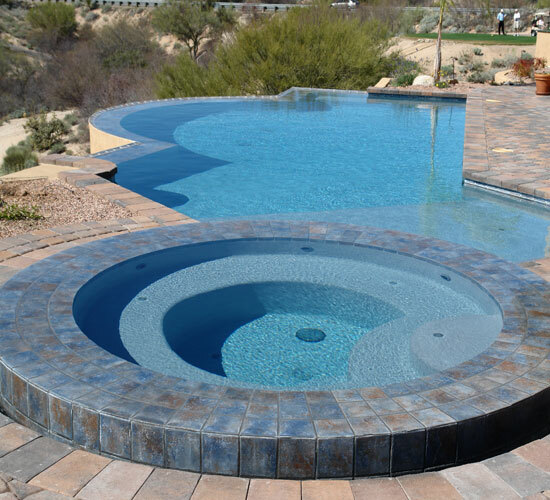 We started then to build pool and spa combos, often integrated in a deck (as opposed to stand-alone units). Spas can be designed using many different materials: travertine tiles for its classic, almost Graecian look; black granite for its very distinctive appeal (although black granite is a double-edge sword in Arizona where it becomes really hot in summer); slate for its colorful look; round stones for their raw, natural look; ceramic and glass mosaic for their Etruscan aesthetics and the decorative possibilities they offer. 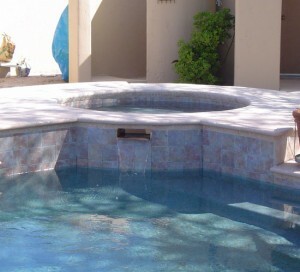 As you will notice in the gallery below, spas come with a diversity of features. 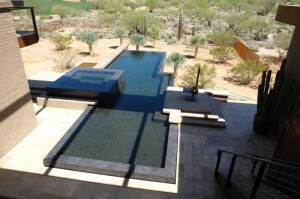 All have an internal step, 1 to 2 feet deep, which allow bathers to enter the spa safely and sit in the water comfortably. Some are “sit and twist“: they are fully level with the deck, and people sit on the external edge and twist their torso to enter the spa. 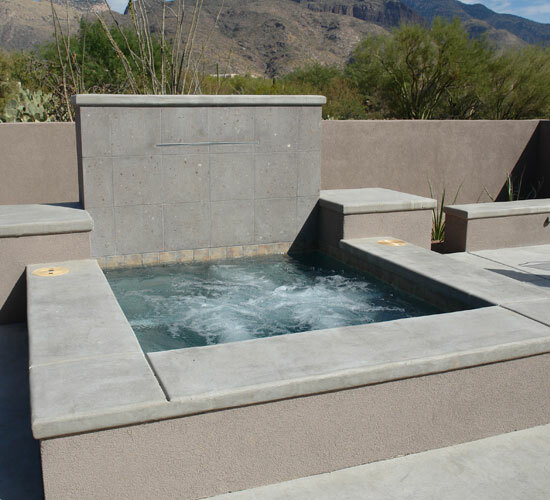 Very sophisticated spas have a vanishing edge over which the water flows to be collected into a trough before reinjection into the spa after a filtration step. 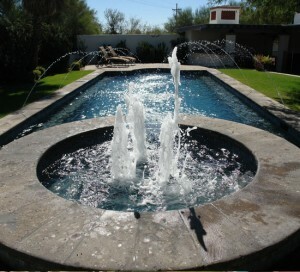 Some spas feature water fountains; others have removable water jets and spouts. Spas have their own independent plumbing system even though they use water from the same source as the pool. They often have their own independent heating source, such as gas. 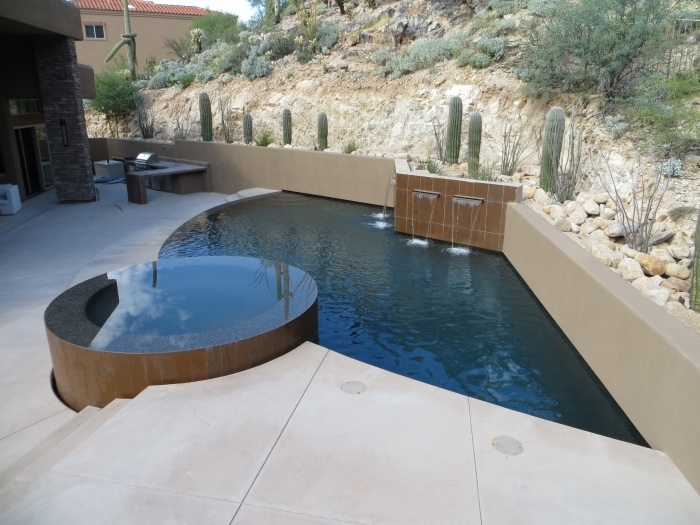 They also have an independent filtration system, designed to handle hot water. Hot water is therapeutic but it also gathers a lot of impurities such as dirt and dead skin cells, and can become a breeding ground for dangerous bacterias if not built and maintained according to strict standards. 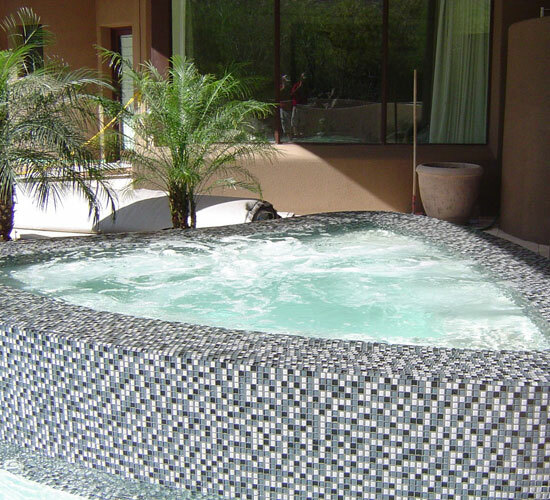 The special filtration system of a spa must also handle the chemicals added to the water: more chlorine is needed than in the pool, again to kill bacterias. Children must not be let alone without adult supervision around a spa. Most accidents in spas involve children. 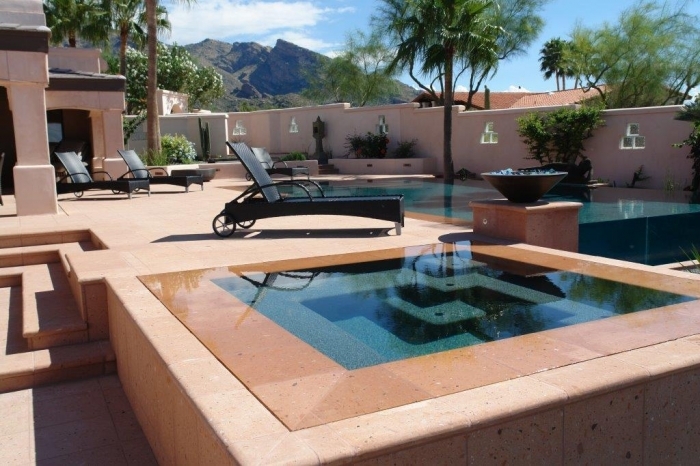 Including a spa in your pool design is a decision that you have to make from the very first stage of your pool project. There are many factors to take into account, including the position of the spa relative to the pool, its special plumbing, the source of heat, etc. 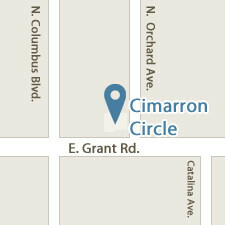 Cimarron Circle is at your disposal to discuss these issues without commitment on your part. 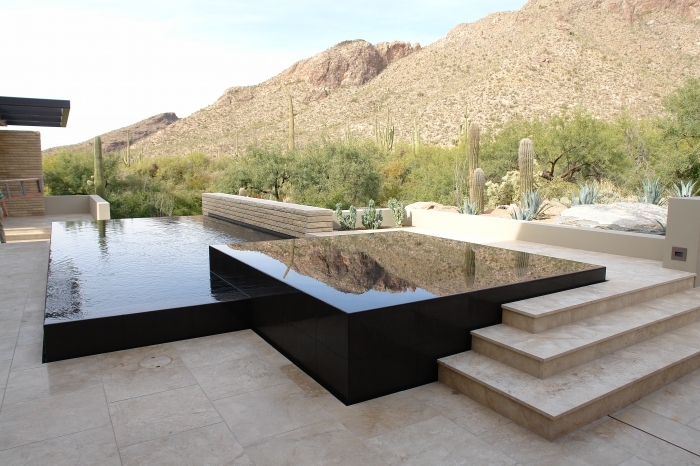 Call Rob Staples at (520) 881-2777 for a free consultation about your project.